Fourteen-year-old, singer and ventriloquist Darci Lynne continues to capture the hearts of fans across the country after winning NBC’s “America’s Got Talent” by the most votes for a final performance in the history of the show at just 12 years old, one of the youngest contestants ever to do so. 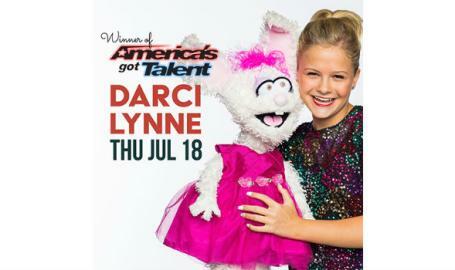 You will also find Darci returning to NBC’s AGT franchise for the first-ever "America's Got Talent: The Champions" season. Some of the most incredible and memorable "Got Talent" contestants from 184 countries around the world will return to the stage and compete for the title of AGT Champion.